True fungi are organisms that have chitin in their cell walls and reproduce by both asexual and sexual methods. They are saprophytes and do not have motile cells during any stage in their life cycle. They are a source of food as well as a source of disease in plants and animals including humans. 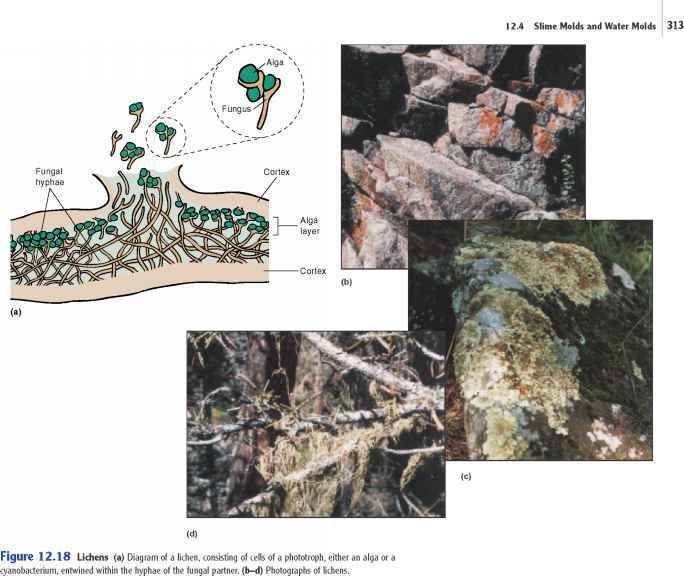 ■ What are the primary characteristics that distinguish true fungi from other eukaryotic organisms? ■ What are some ways that fungi cause disease in humans? ■ What kind of symbiotic relationships do fungi form with other organisms? How are these relationships beneficial to each partner? 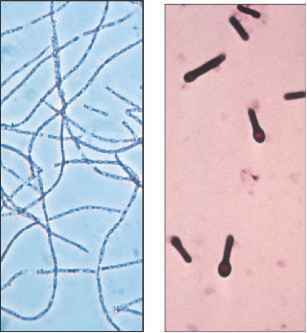 ■ How would the narrow, threadlike structure of hyphae indicate that they have a high surface-to-volume ratio?